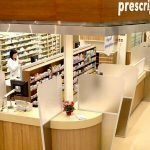 Unique customized and build modern pharmacy shop design with retail fixtures display for sale. if you’re looking for high-end pharmacy showroom furniture, pharmacy fixtures furniture design. well. here is the right place to go. 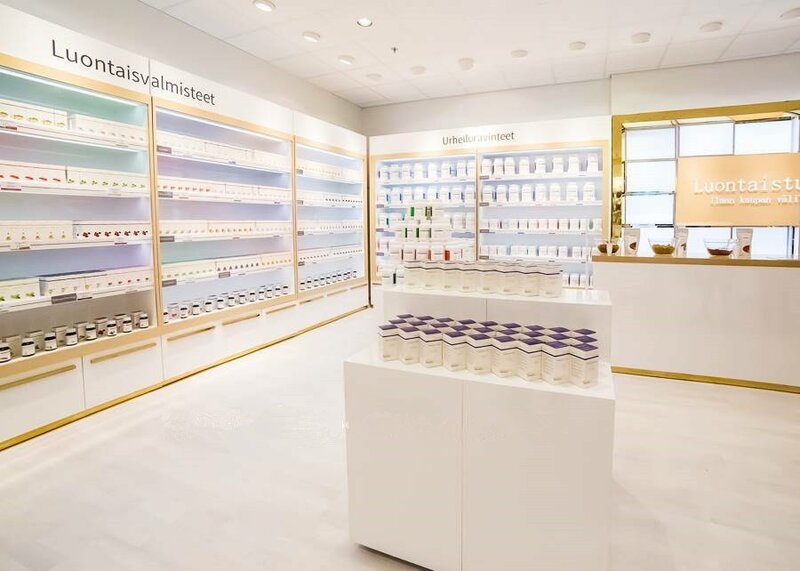 below show is a pharmacy shop with retail fixtures display. Products: drug, health products and more. White PU Paint is really suitable for any material, especially gold strip. 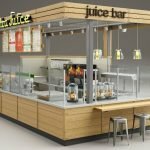 The design gives people a feeling of natural and healthy, which attracts clients and add confidence to the products. As you see this pharmacy store, very modern and tidy. mainly tone is white, match some Light brown wood grain. the whole store four sides with high wall display shelves. Each laminate can be hidden led light strip. inside is some short display cabinet and display stand. match some gold strip decoration. As you see this store is very modern and tidy. mainly tone is white, match some Light brown wood grain. the whole store four sides with high wall display shelves. Each laminate can be hidden led light strip. inside is some short display cabinet and display stand. match some gold strip decoration. 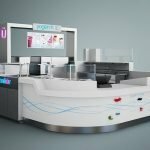 Thanks for your time and reading, Unique kiosk as a direct manufacturer, we mainly work on the design and customized for retail pharmacy store and pharmacy display fixtures. 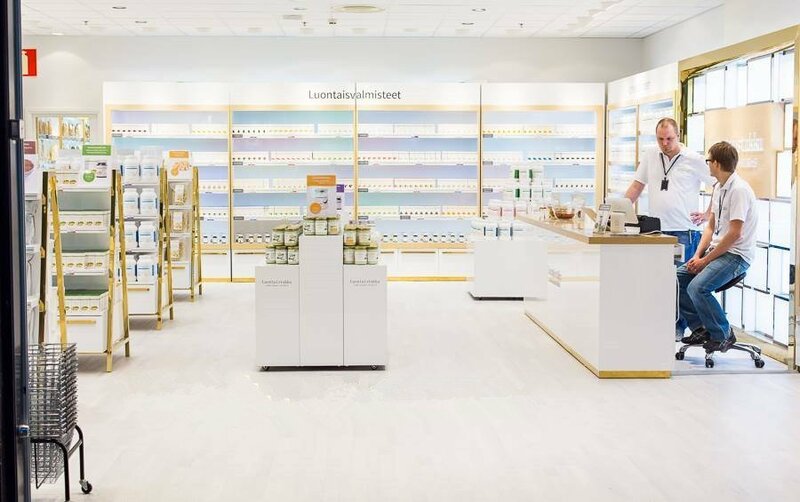 if you’re interested to start your pharmacy store like this one. or more related design choices, pls check on our pharmacy store fixtures page. welcome inquiry.